The Seals Sea Sprite Kayak Sprayskirt is a hybrid construction of neoprene and nylon which gives the skirt the most desirable attributes of touring and whitewater skirts. for moderate to extreme paddling conditions. 1st & for most made in USA with USA quality 5 stars great job! Purchased a Seals Sea Sprite Kayak Sprayskirt to go with my new Jackson Rouge 10. The reommended size for the skirt was perfect, with the skirt going on easily. The material and workmanship appear to be high quality. I have used the skirt on only one occassion, but that was to practice wet exits. I found the skirt to do it's job in keeping water out of my boat when doing hard leans. I did a couple of wet exits and the skirt pulled off of the cockpit coaming just as it should have. This is a comfortable and good skirt for the money. Only problem was an error in Seals sizing chart. First skirt didn't fit my cockpit and had to be returned and and reordered for proper size. This skirt tends to run a bit small. After reorder, works quite well and size exchange and delivery service from ACK was excellent. The two Seals Sea Sprite Kayak Sprayskirts arrived timely, fit the kayaks perfectly, and perform wonderfully. Everything stayed dry in the cockpit. The skirt was easy to put onto the body, onto the boat, and released easily from the combing. This is a very good sprayskirt and I recommend it highly. Good product, good price, great service from ACK. This skirt is as good as the Extreme Tour model, using it in the conditions in which I paddle. The quality is there, it was on sale; I'm a happy paddler. I have been very pleased with this spray skirt . I have only used it on relatively calm lakes so far, but it it keeps the drips off when paddling and it adds a nice warmth in cold weather. This skirt was a replacement for another which didn't quite make the grade. For bay and ocean kayaking in Florida -- it's just what I needed. Fit my Necky Manitou perfectly, keeps me warm and dry. Arrived quickly and seems to be very well made. I really like it and would recommend. This is my second Seals Sea Sprite skirt, and I love them! They fit, they're comfortable, they stay on in a roll, and are easy to put on the coaming. This is a top-notch skirt! I love this sprayskirt, I don't know why I stuck with the tropical touring sprayskirt for so long, this is so much better! I had a chance to use my new skirt recently on a misty, rainy day it kept my kayak warm and dry and was easy to put on my Carolina 14.5. It beats the nylon type hands down, I no longer get out of my boat with a wet seat. A great product at an even better price. I shopped several different sites for a new skirt and Austin Kayak was the best hands down, Ill be shopping here again. Great skirt at a good price for my Dagger Zydeco 11. Goes on easily. Fits taut. Love that the tunnel is adjustable for easier on and off. Only issue was that I almost lost the suspenders when the snaps unsnapped on their own when I was taking it off. Last time it rained, I made some friends jealous when their skirts puddled and leaked while I stayed warm and dry. this is a very functional spray skirt without any bells or whistles. It seals up tight and is quite comfortable too. I dont bother with the suspenders and the tunnel stays up on my torso just fine. Plus the price is very decent. Replaced my entry-level nylon skirt with this after doing a ton of research and wow, what a difference the right gear makes duh, right?. Skirt fits tight as a drum on my Necky Chatham 16 poly and kept me dry and snug as a bug in a rug during last weeks 4-day solo expedition in the Adirondacks. Terrific value for the money and great service from ACK. Highly recommended. On my previous post of the Seals Sprayskirt, I have a Eddyline Fathom LV. GREAT quality. Works great and fits perfectly. Two thumbs up! Comfortable, easily applied skirt. Would highly recommend for summer excursions. Ive only been kayaking about a year. I am very pleased with Seals Sea Sprite Sprayskirt. Ive used it in various conditions in the Puget Sound 1st time in Dec 2011 and 18 times since then. The most extreme use so far has been 1- 2 foot waves and possibly 3 foot when I unexpectedly found myself in tide rips. It performed well each time. I like the skirt very much, it keeps me dry and I find it easy to put on. Great skirt. Keeps you nice and dry. A bit of a pain to get on at first but gets easier as it stretches a bit. I recommend leaving it on your kayak when not in use for a few days to loosen it up a little. Fits great. Shipping was unbelievably fast. It hasn' gotten wet yet, so I'm judging on Seals reputation and the obvious workmanship. Great skirt for rec. boats. Will keep you high and dry. Great fit plus the workmanship is second to none. highly recommended unless you are a roller. Tight fit, solid high quality construction, like the overall shoulder straps. Waist fit is adjustable. Keeps out the spray and waves. For a first time skirt purchase I could not be happier. Works good; the one reason that I took a star away was that the adjustable fold-over velcro band used to adjust the size where it goes around your body tends to poke into the body at times. During a couple hours of paddling I had to adjust a few times to make sure it didn't leave any blisters/rashes. It wasn't too big of a deal, but enough to take away a star. Very comfortable. Attaches much easier than nylon. Requires a strong pull to detach. We bought three of these skirts. Very well made and will last for years. We've been very happy with them so far. They're made in the USA, a strong selling point for us. Excellent product. Kept most of the water out during extended eskimo roll practice (a small puddle inside the cockpit after 30 minutes of repeated rolls). Not hot while paddling. Seals well but has enough stretch to feel comfortable about performing a wet exit if necessary. Highly recommended. The Seals Sea Sprite spray skirt has performed extremely well under the light spray & water conditions for which it was intended and used. Seals is a well regarded manufacturer of kayak skirts and ACK is quick, prompt, and efficent internet source of quality recreational gear. Thanks ACK for your repeated fast, afforadable, & reliable service!! Used the Sea Sprite on my Tempest 170 and worked well for rolling practice in doors so far. Fits Valley Avocet perfectly - easy to fit/remove, yet stays secure in big waves and rolls. Loose fitting, breathable, body tunnel keeps you reasonably cool on our current hot Summer's days, whilst being 100% waterproof. Attachment points on deck could be handy (but I don't use them). Overall - highly recommended. I've used this Seals Sea Sprite Kayak Sprayskirt on 4 outings since its purchase. Throughout kayak leans/edging, rough water coming over the bow and rain beating down, my cockpit has stayed dry. Another thing too, water does not pool on the skirt deck. 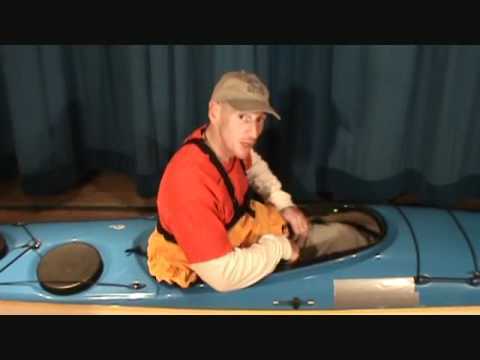 The Seals Sea Sprite Kayak Sprayskirt is nice and tight, relatively easy to put on the boat. It kept me dry even in rough conditions. 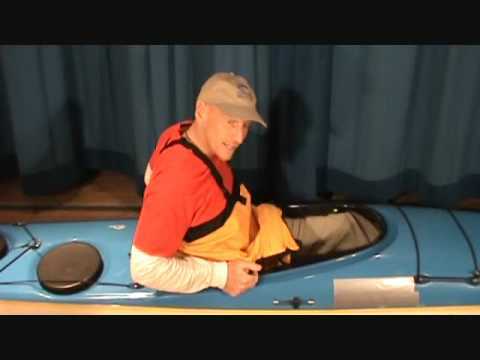 Great for rolling and other advanced paddling features. I will keep buying from Seals. 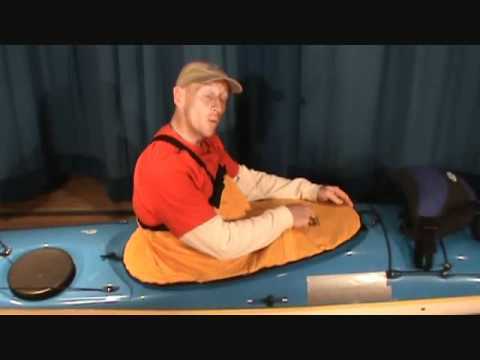 The Seals Sea Sprite Kayak Sprayskirt has a great tight fit that helped in my learning to roll my long boat. The suspenders are easy to adjust and do not come undone. Bought this for my new Liquid Logic Remix XP10 and it is a great fit. Seals tight, water doesn't pool, keeps you dry. A great skirt for my applications. Just used this skirt on my Dagger Approach in the gulf at South Padre, and was concerned that I would burn up in it, but the breathable upper part made all the difference, I never felt too hot. Seals great at the deck, I didn't have the top part very tight so I took on a little water when the big spray came over the bow, but that didn't bother me. Just bought another one for my Tsunami, as the one I have for that boat is NOT breathable, and even on a cold day I felt damp and clammy from being sealed up in it. Love this spray skirt...My husband and I have three in two different sizes. It goes on and off(when you want it to) easily. Has a nice tight seal and keeps water out without the spray skirt sagging into the cockpit. Would recommend this highly. Q: Will the Seals Sea Sprite work with a Dagger Stratos that has a high back seat instead of the back band? A: No, the seat will interfere with the skirt and won't allow you to get a good seal. Q: I have a P&H Scorpio II LV. It seems like that would require a 1.3, which I didn't see. Also I'll often be wearing a dry suit, but I'm 5'4" and about 110. What do I need? Is this a good expedition open water skirt? 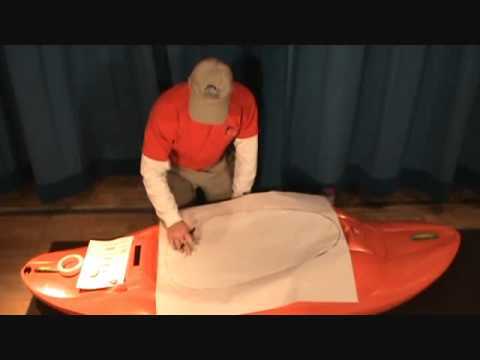 A: The Seals Sea Sprite Kayak Sprayskirt size is 1.7. The tunnel size would be XXL. Q: how big does the tunnel get up to in inches? A: Hi, Thank you for the email to ACK. The largest tunnel size that seals makes is going to be the XXXL which ranges i size from 43-46"
The tunnel is about 16" by 16" and keep in mind it does stretch.